With some trials and tribulations for Mindy and Angie, one thing that showed through during their adoption journey was poise. Along the way, four different birthmothers wanted to have contact with them, but all four times they were let down when things did not work out. Then their beautiful birth parents contacted LifeLong in January of 2017, and said they wanted to start talking with Mindy and Angie. During the course of the next six months, both families built something we don't see in every case we work. They formed a true friendship and extended family with one another while keeping the same goal in mind: build a beautiful life for their baby girl, Urban Dawn. Urban was born on June 11, 2017, and Mindy and Angie were there with their birth parents every step of the way during the delivery and birth. 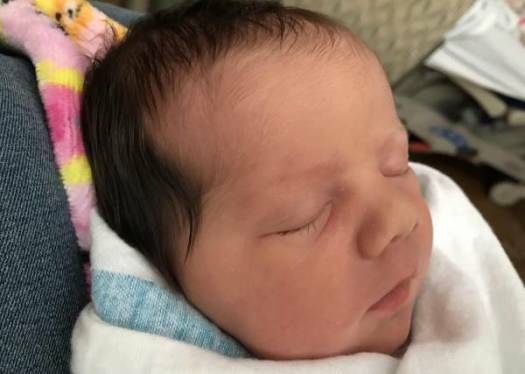 Urban was welcomed not only by her new mommies, but her amazing birth parents, too. The time the families spent together before and after Urban's arrival is something we're sure will be some of their greatest memories. We're appreciative and grateful for Mindy's and Angie's understanding of the adoption process, patience during the waiting period, and keeping a positive outlook during the hardest times. We are overjoyed their birth parents found us and we cannot commend them more for showing such strength, determination, and selflessness in doing what was best for Urban, and putting themselves last to do all they could for her. Good things really do come to those who wait, and we wish you ALL a lifetime of love and happiness! Congratulations!!! Twice as nice! 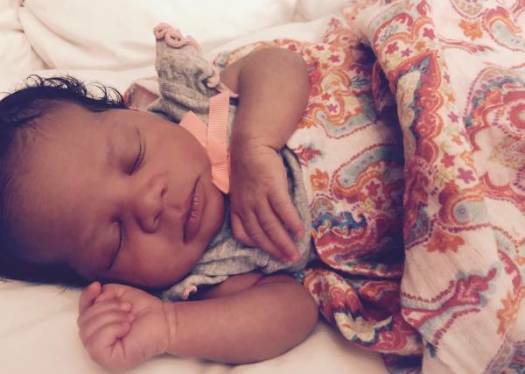 Nine months into their second adoption with LifeLong, Kristen and Kendra were blessed with a beautiful baby girl, Maya Kay. We are so excited you were able to build your growing family through adoption, and that we could play a role in that. 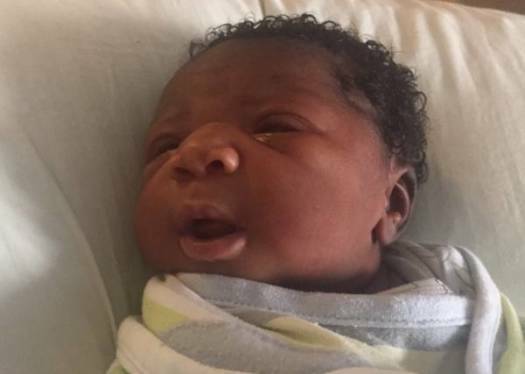 When their birthmother, Joyce, called to say she was going to the hospital and believed she was in labor, Kristen and Kendra were off to D.C., and Maya Kay was born on June 9, 2017. Congratulations to this beautiful family. We wish you nothing but happiness, joy, and love with your angels! A big congratulations to parents Drew and Asim on adopting their daughter! Drew and Asim spent the last three months of their birthmother's pregnancy supporting her throughout the adoption process. Annika Marie was born on June 8, 2017, and is already so loved by Drew's and Asim's families! 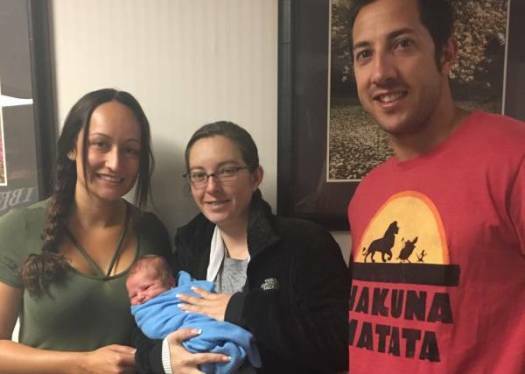 Their birthmom, Kristina, has been such a blessing to them and their new family and we couldn't thank her enough for her strength, courage, and selflessness during this journey. Congratulations again, Drew and Asim! They adopted in nine months. Wow! That's all we can say about the match that Amber and birthmom Judy went through. In just six short months Amber was welcoming her beautiful baby girl, Charlotte Katherine Rose, into this world on the 1st of June. The instant we connected Judy and Amber, it was apparent they were meant to be with each other. Amber showed nothing but patience, understanding, love, and compassion toward Judy, who was in a very vulnerable and, at times, difficult situation. Judy showed nothing but confidence, gratitude, and appreciation for everything Amber did for her during the three months they were going through this process together. Charlotte is so lucky to have such an open-minded, protective, and loving new mommy and birthmother. Thank you all for being so wonderful and amazing to work with. We cannot congratulate you enough! 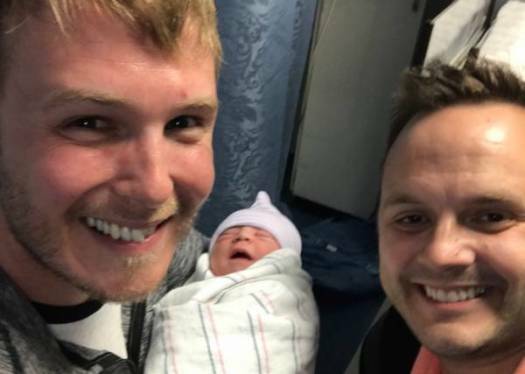 In just 13 short months, Travis and Barron were off to Indiana to meet their baby girl, Olivia Louise, for the first time! Olivia was born on May 20, 2017, and her amazing birthmother, Kea, gave Travis and Barron the most gracious gift of all! Only seven months into their adoption journey, Travis and Barron got the call that would change it all! There were a few ups and downs along the way where she was not sure of her decision, but a few months later grew confident that Travis and Barron were the parents for little Olivia. They built a wonderful relationship with their birthmother, who was strong and amazing through the entire process. We are so happy for this incredible couple and wish you a lifetime of happiness. Congratulations! Nick and Jena adopted a wonderful baby boy, Zane, on May 7, 2017. 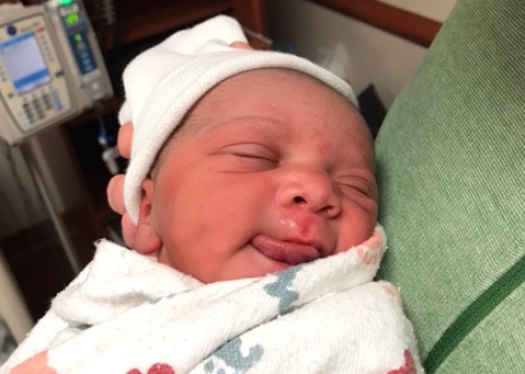 Zane entered this world and immediately stole the hearts of his new parents. We admire the strength and courage of their birthmother, Kristina, in choosing adoption! We cannot thank her enough for making this family's dream come true. Nick and Jena adopted in seven short months and we are so glad they did! Wishing this family the very best! It took Marc and Justine a few matches that didn't work out to lead them to their sweet baby girl, Ellie! 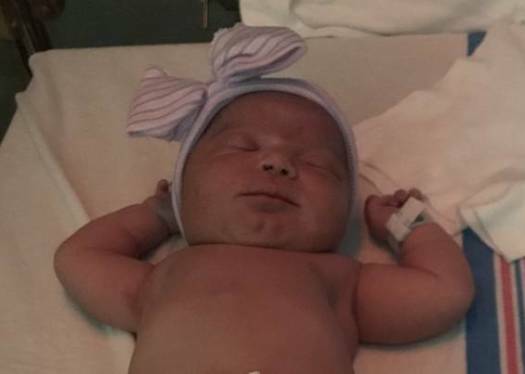 Ellie Pearl was born on December 16, 2016, and Marc and Justine had only a few hours to head out to Colorado, where their amazing birthmom, Alicia, gave birth. In nine short months, they were meeting their daughter for the first time and the look of gratitude and love was written all over their faces. The brave birthparents, Alicia and Corey, made Marc and Justine's journey to parenthood come true and we will forever thank them for this selfless gift. We know that the relationship between them all will be one that will last a lifetime! Congratulations again! 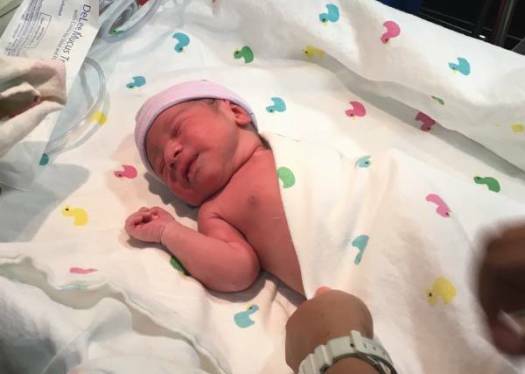 A big congratulations to Marcel and Jose on adopting their son! In just four short months, Marcel and Jose were holding their new baby boy, Christopher Aiden, who was born on April 23, 2017. Their birthmom Kelly has been such a blessing to them and their new family and we couldn't thank Kelly enough for her strength, courage, and selflessness during this journey. She put her faith and trust in all of us, and we are excited to know that a friendship has developed between them. Congrats again, Marcel and Jose! Twice as nice as they say! 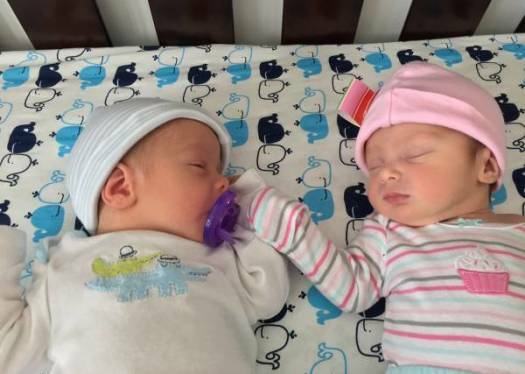 Jim and Michael adopted their adorable twins in just 14 months! Lillian Grace and Liam Oliver were born on April 7, 2017, in Kentucky, and were healthy and strong! Just like their birthmother, Sarah. Jim, Michael, and Sarah have developed a relationship as such that they each have gained a lifelong family member and friend in one another. They visited a few times before Lily and Liam were born, spending time with and getting to know one another. Seeing their relationship blossom to what it is now is nothing short of amazing. We cannot be more thankful for Sarah for giving them the TWO most beautiful gifts anyone can ever receive. Congratulations to this new family!! Patience and understanding are two really great words we would use to describe Nathan and Lucas. They adopted in 23 months! 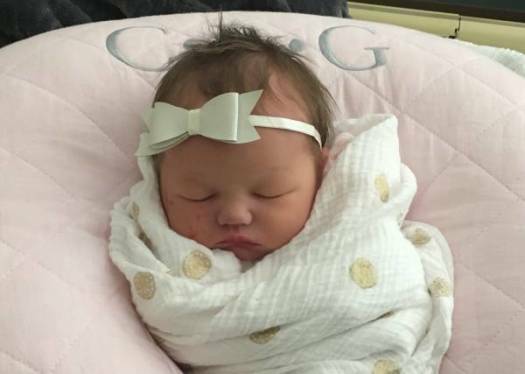 They were connected with their birth parents, Ashley and Chris for a few weeks until their baby girl Hayden Grace was born on April 6, 2017. It was a tough decision for Ashley and Chris to come by, but finding the perfect family for them made their mind more at ease. Nathan and Lucas went to Nevada about two weeks before Hayden was born to hang out and wait for her arrival. They were patient in navigating this difficult time for the birth parents. They were understanding and not pushy when it came to communication and knew that everything would work out the way it's supposed to. And it did! We cannot be more excited for this deserving and incredible couple. We wish you all nothing but the very best! Maria and Victoria had a devastating failed match before they were connected with their birthmother, Sonja. Sonja was only connected with Maria and Victoria for a few short days when we got the notification she was in labor. Maria and Victoria headed to Arkansas without hesitation and they met their daughter the following day! Sonja had placed for adoption with LifeLong once before and made this brave, strong, and courageous choice to do so again. Olivia Ryan was born on April 6, 2017, and was as beautiful as ever! 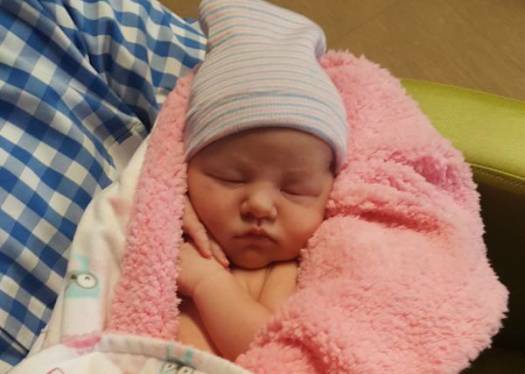 With every obstacle Maria and Victoria faced, it all led them to their new baby girl. Sonja, your determination, and strength is something we all admire here and we cannot thank you enough for completing this family! You will always hold a special place in our hearts. We cannot be more excited for this amazing couple! Congratulations Maria and Victoria! What a whirlwind it was for Matt & Ian's adoption journey. Just when they almost gave up hope, their baby girl was born on March 26, 2017! Olivia was brought into this world by her brave and amazing birthmother, Charlotte. They created such a special and beautiful relationship with Charlotte and Charlotte's family. With a head full of beautiful dark hair, she was everything and more that Matt and Ian ever hoped for. Their long awaited miracle was finally here! With ups and downs along the way, they continued to fight to fulfill their dream of becoming daddies. Olivia is one lucky girl to have such great parents and we cannot thank Charlotte enough for making their dreams come true! Congratulations from our LifeLong Family to yours!